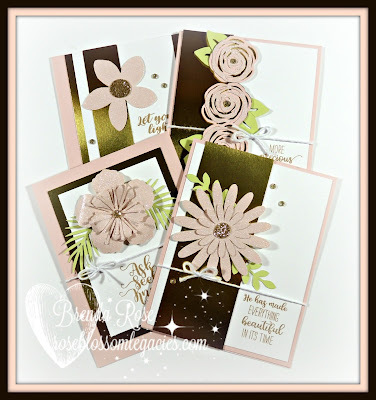 With this month's Pretty in Pink special, it was the perfect time to put a card kit together using Bashful cardstock, Bashful Glitter Paper, and our beautiful Gold Foil cardstock. Deadline to order is Sunday, February 25th. Card kits will be mailed the week of February 26th.